BRUSSELS (Sputnik) - European Commissioner for Economic and Financial Affairs Pierre Moscovici said on Friday that Europe should think about a new future crisis, which is inevitable and anticipate possible consequences. "The euro area must pursue its integration and think about the next crises, which will inevitably come. We must anticipate, rather than wait until we are at the edge of the abyss. The European Commission has made its proposals to this end: I hope that our Member States will have the wisdom to look to the future with confidence," Moscovici told reporters in Brussels commenting on the end of Greece's bailout program. "At the onset of the Greek crisis, we had neither the capacity nor the tools, let alone the political culture, to manage the situation. We also underestimated the deep crisis facing the Greek state and economy," Moscovici told reporters, explaining why this crisis lasted for so long. He also noted that the delays in the decision-making on the part of the Eurogroup were caused by the complexity of this process. Greece is expected to exit its current bailout program after August 20. The eurozone debt crisis hit Europe in 2009 after Greece became unable to refinance its government debt without external help and escalated by 2011 when a number of other states, including Portugal, Italy, Ireland and Spain, could also default on its debts. 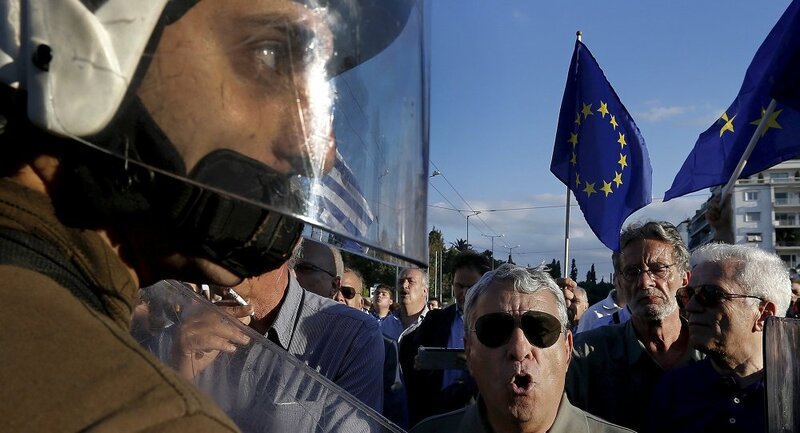 Brussels introduced austerity measures, forced states with a deficit to make severe budget cuts and provided a bailout package to rescue Greece. The bailout program is ending after August 20.